THINK: Who Picks Your Tomatoes? 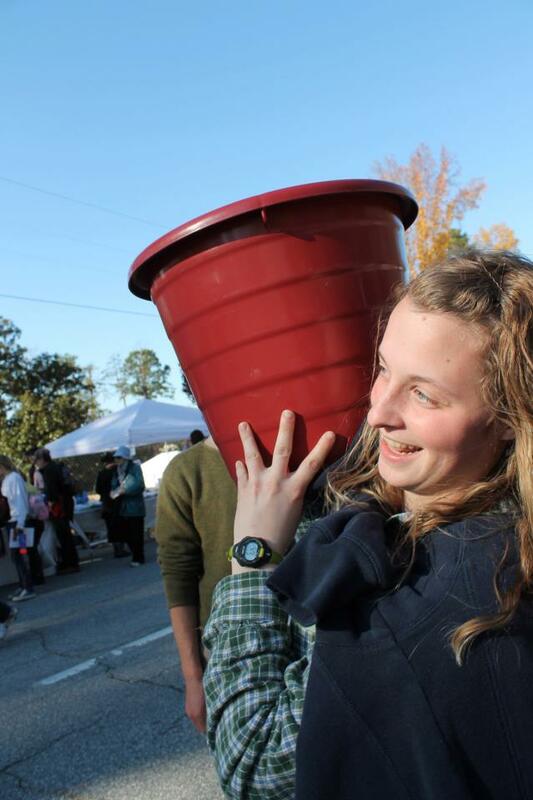 This is a picture of Cortina Alumni (2010-2011) Laura Haller who is holding a bucket that is filled with 32 pounds of weight. 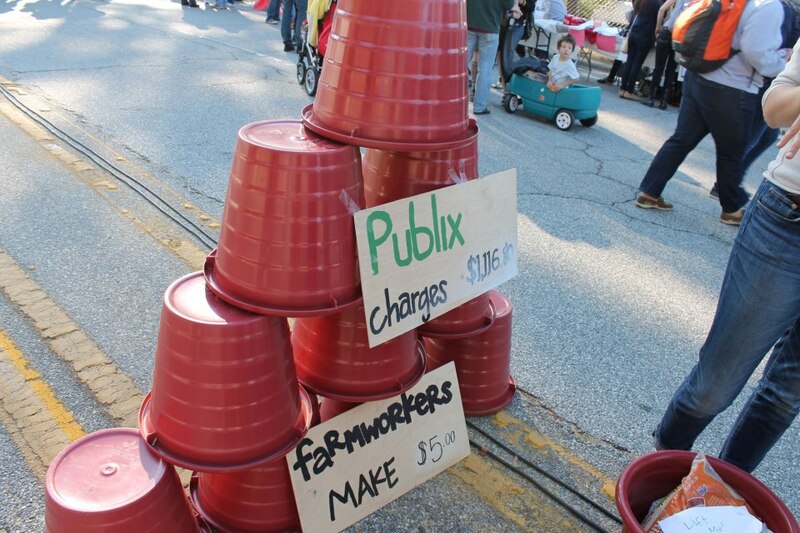 For a Florida tomato harvester, one of these buckets filled with tomatoes earns them $.50. A worker must carry 2.25 tons of tomatoes to earn minimum wage with a 10-hour workday. Most of these workers earn less than $12,000 a year. This picture shows that Kroeger, the parent company of supermarkets like Publix, King Soopers, and Bakers, makes over $1,100 for these 10 buckets of tomatoes that farmworkers get paid $5.00. The Coalition of Immokalee Workers (CIW) is currently working on a campaign for Kroeger to pay a few cents more per bucket which would not dramatically decrease the profit Kroeger makes. They have run successful campaigns with companies like Taco Bell and Chipotle in which these companies now pay the farmworkers a little bit more per bucket.